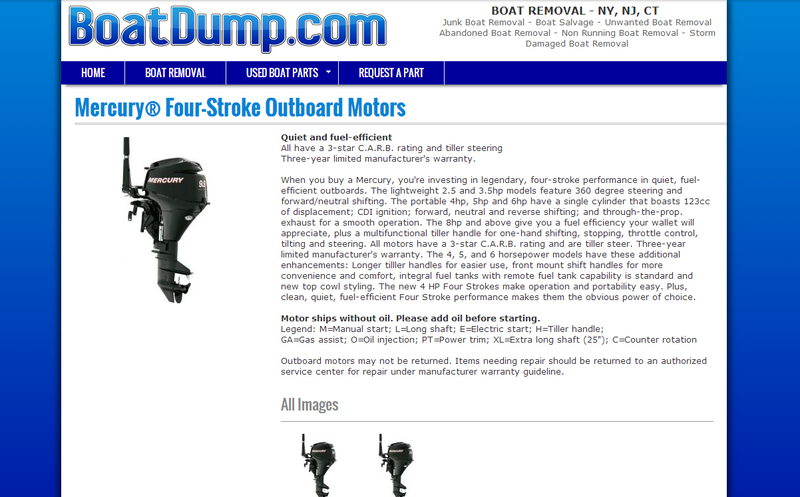 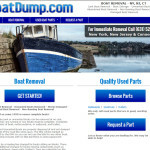 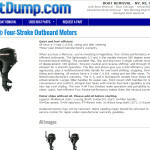 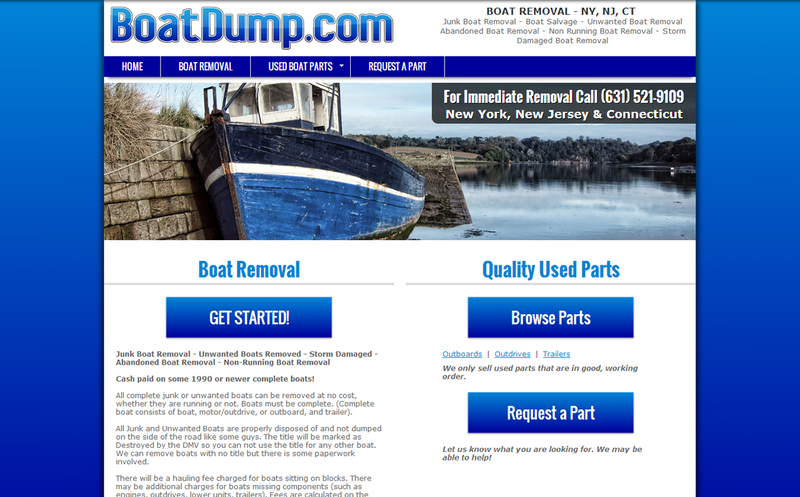 BoatDump.com is a leading NY, NJ and CT resource for people looking to get rid of unwanted, junked, damaged, or abandoned boats! 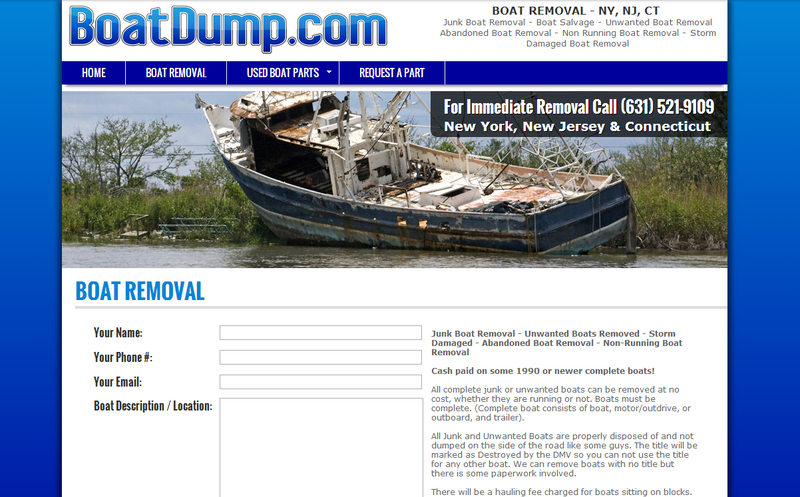 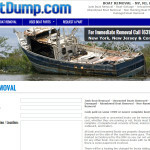 The site allows visitors to contact a BoatDump.com rep with details about their boat removal needs. 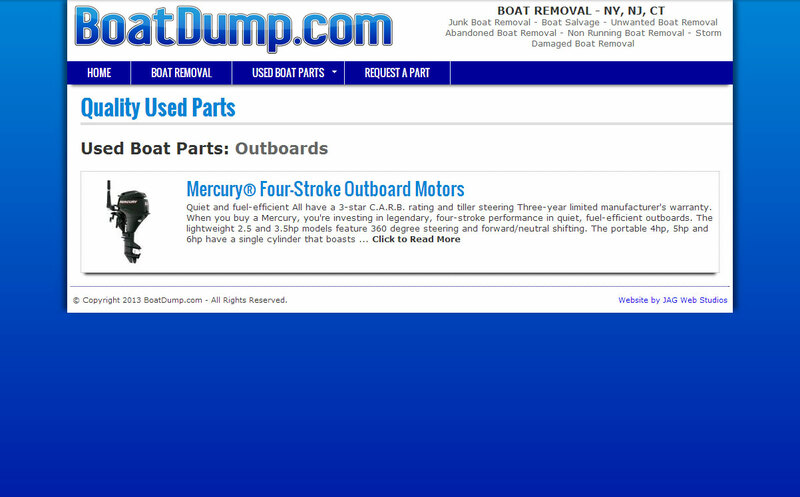 Additionally, the website serves as a listing of Quality Used Parts that are for sale, and allows visitors to make part requests! 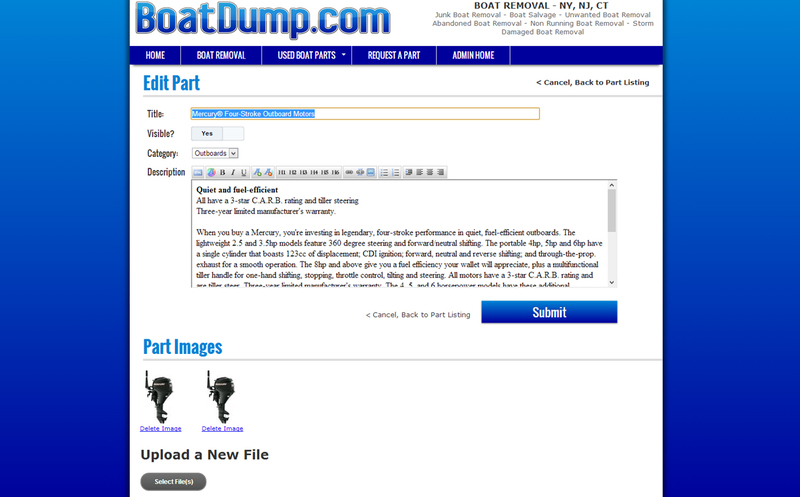 This is all controlled by an easy-to-use administrative back-end.